All my ceramics start with a ball of clay that I roll out by hand. A shape evolves naturally from this process giving each piece its own characteristics, never quite symmetrical nor regular. A deliberate “imperfect” design that gives them an unpredictable and simple aesthetic that reflects the Japanese “wabi sabi” philosophy which celebrates beauty in its imperfections. The added texture that I imprint in my ceramics will let the light play with them adding an extra dimension that will invite you to stroke them and connect with their energy. Often people say my ceramics have a soul and I do believe they have. Their simple, organic yet elegant shape combines the essence of nature and modern design, making them a time-less item. 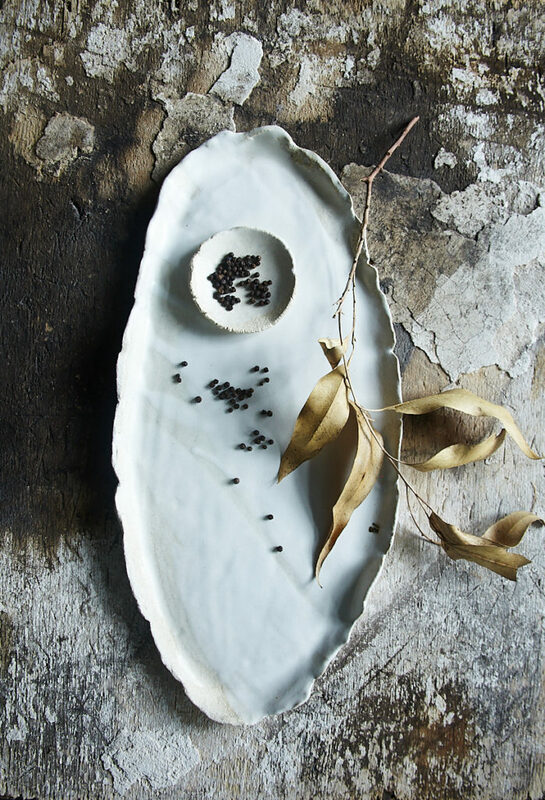 They are a perfect vessel to hold anything you might cherish, food or small offerings or that special object. On their own they will be a treasured possession to enjoy, exuding a refined sensibility and beauty.